Total revenues for the fourth quarter of 2008 rose to CNY902.1 million for Chinese Internet search engine Baidu.com, as it today announced its unaudited financial results for the fourth quarter and fiscal year ended December 31, 2008. Baidu had more than 197,000 active online marketing customers in the fourth quarter of 2008, representing a 1.5% increase from the previous quarter and a 27.1% increase from the corresponding period in 2007. Revenue per online marketing customer for the fourth quarter was approximately CNY4,600, a sequential decrease of 2.1% and a 24.3% increase from the corresponding period in 2007. The sequential decrease in revenue per customer was primarily due to a portion of customers in the medical and pharmaceutical sector being temporarily removed from paid search results during the quarter, but the company says a large portion of these customers have resumed using its services since then. Total revenues in fiscal year 2008 were CNY3.2 billion an 83.3% increase from 2007. Operating profit in the fourth quarter of 2008 was CNY304.7 million, a 72.9% increase from the corresponding period in 2007, while operating profit in fiscal year 2008 was CNY1.1 billion, a 100.4% increase from 2007. Net income in the fourth quarter of 2008 was CNY288.7 million, a 31.3% increase from the corresponding period in 2007. Costs and expenses related to Baidu's Japan operations for the fourth quarter of 2008 were CNY37.0 million. Net income in fiscal year 2008 was CNY1 billion, representing a 66.6% increase from 2007. 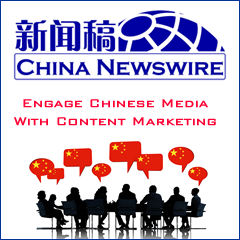 Online marketing revenues for the fourth quarter of 2008 were CNY901.4 million, representing a 58.3% increase from the fourth quarter of 2007. Operating profit was CNY304.7 million, representing a 72.9% increase from the corresponding period in 2007. Full year net operating cash inflow and capital expenditures were CNY1.6 billion and CNY417.9 million, respectively.